Join ESI Group for the 28th edition of the Solidification Course 2019, an intensive one-week course designed for engineers and scientists from industry and research centers who wish to improve their knowledge in the field of solidification. Over the past 27 years, 941 participants from 341 companies and 38 countries have already attended. The course is oriented towards the application of solidification theories to industrial processes. The macroscopic aspects of the processes (transfer phenomena) are addressed together with the formation of microstructures and defects (microscopic phenomena). Connection between macroscopic and microscopic aspects, such as the prediction of microstructures and defects as a function of process parameters, is also emphasized. 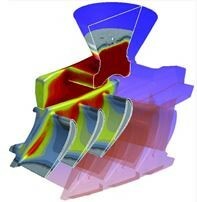 Examples of the application of these concepts to industrial processes, such as shape casting, continuous casting, additive manufacturing and directional solidification, are given.